Yuck. When I have to admit that I was wrong…that’s how I feel. Total tail-between-the-legs. And that’s the beginning of my story about this new shampoo that I’ve fallen in love with. I initially heard about Monat through some out-of-state friends who had started selling it. Yes, it’s an MLM (multi-level marketing) company, and no - that doesn’t mean it is a pyramid scheme…just in case that little skepticism crossed your mind. Just like Avon, Younique, Doterra, Beachbody…it’s, in my opinion, the new way in which most of us will purchase products because we are getting to see first-hand how effective they are. If they work for my friend, my mom, my cousin…I’m going to trust that product and its results SO much more (like a million percent more) than I would if I were to see those “results” on that beautiful model through a very calculated, airbrushed commercial. So Monat: what is it? Monat is a relatively new, naturally-based hair care line that includes shampoos, conditioners, styling products, and tools. It is a line that utilizes botanical oils, but does so in a way that works harmoniously to promote new hair growth, protect and nourish the scalp, protect the hair follicles, and ultimately help nourish and create shine with each strand. This product is unlike any other on the market today. Okay, but for real - how does it work?! Well, my experience didn’t start off great right away. I tried a sample for a week, and I for sure was in a process called “detox”, which is a period of time when the Monat products are working their way through years of product build-up (think waxy, sticky roots that feel a little greasy), and most of that product build-up takes a while to get outta there. I gave up too early and decided it wasn’t for me. Take two. A photographer friend of mine was a Market Partner and I started following her Facebook group. I was so intrigued by her results and the results she posted of other Monat-believers. I was also completely curious about the business side of this company. Are there seriously women bringing in 10, 20, and $30,000…a month? Well…this product must be for real. I decided to give it another shot. What is the worst that could happen? But this time I was going to commit to using only Monat for at least three months…which is the period of time it can take to go through detox. I didn’t have any major hair concerns, other than my hair was just…blah. Not a lot of shine, a little flat, and seemed to get greasy real fast. I was an every-day-hair-washer, and the prospect of washing every other day sounded amazing! I also seemed to be losing more hair through shedding, and so the regrowth Monat promised would just be an added bonus. I took a leap of faith and signed up as a Market Partner, mainly for that 30% discount! I haven’t looked back since. I went through detox again, but I guess that’s what you can expect after using drug-store brand products for too long (or even “premier” expensive hair products…as they can have just as much of the “bad stuff” as anything else, sadly). Each hair follicle must have just been layer upon layer of wax buildup. But like I said, I wasn’t givin’ up! It was about a month and a half until I started to see the results that were SO worth it, but even through that time period I noticed my shine was increasing daily and I was able to go longer between washes. The curls from the day before were still there in all their glory the next day. I could feel the squeaky clean of my newly washed hair…and it felt incredible. And like I said, that was just the beginning. Six months in, and I am confident when I say I will not use another shampoo on my hair again. I’m a Monat lifer…. I am now consistently able to go at least three days between washes. Grossed out? Girl…you don’t even know. With that extra time in my morning, I am actually able to do my hair (like, curl it), and not just dry it and call ‘er good. The energy I once used to dry all of that hair is now put into throwing some curls in or trying something new. 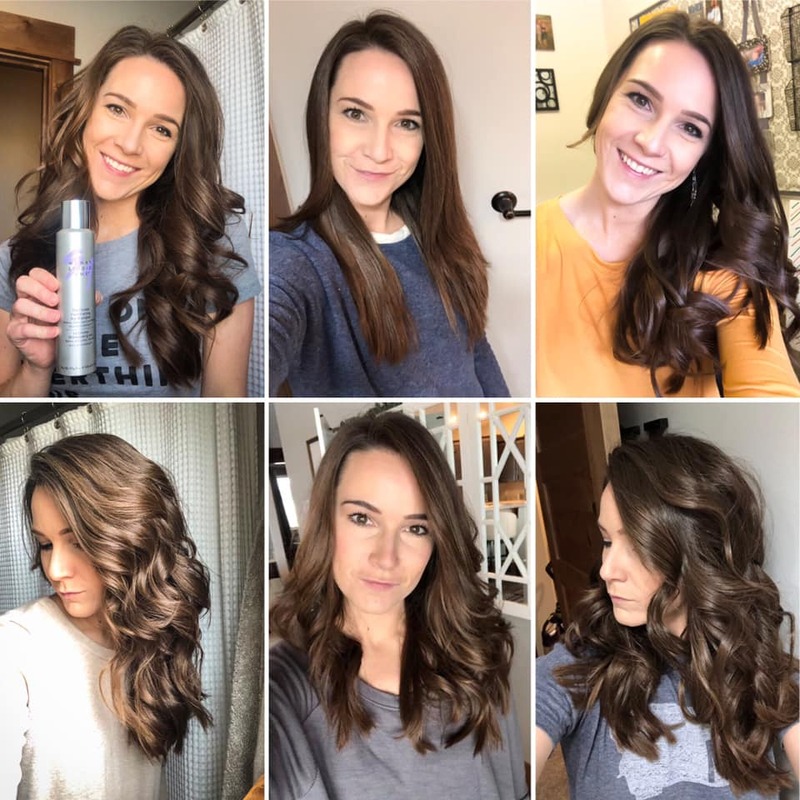 My hair in manageable, soft, shiny, and maybe more important than any of that…every product I put on my hair, I know is actually improving each hair strand and the health of my scalp. That peace of mind is worth everything. And with all of those products working toward the health of my hair? I know it’s only getting better from here! Two of the most welcomed changes (other than shine, of course!) is my fallout has improved drastically and you know that terribly chilly winter we have been having???? No static for this girl! I’m not kidding you. I used to take my coat off in the morning when I would get to work and my hair would frizz out like I had just placed my palm on one of those electric globes at the science museum. Not anymore. And for me, this really speaks to the healing power of Monat, and the health that has been built into each strand of my hair. This stuff is for real. And the real stuff is worth the wait. On the note of “worth”, yes, Monat is pricey at first glance. But when you consider the concentration of the product, the fact that you don’t use more than a quarter-size amount (even for my thick and long hair! ), and you really only need to wash every other day (and for some - every 5 days! ), I am spending less on Monat than I am on my drugstore shampoo. Five months later and I am still on my FIRST bottle of conditioner! I mean…what?!! 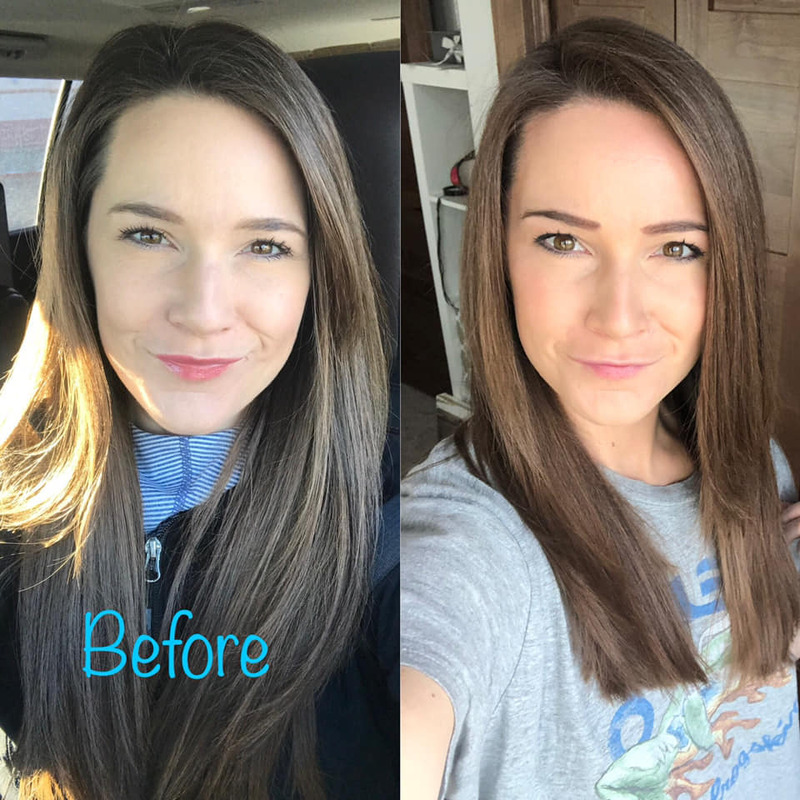 So when you can see what your hair is SUPPOSED to look like (without the waxy product build-up masking as “shine”), for the same price you are currently paying…why wouldn’t you? It’s worth a shot, anyway, because no matter what…you gotta wash that hair. If you are local to me (in Great Falls, Montana) and want to try the products first, you lucky girl: I can hook you up. I have a “Borrow Bucket” that gives you the opportunity to try these magical products for 7 days. I custom create your Borrow Bucket based on your hair complaints. No pressure, and I promise I’ll only follow up once to see how you liked it! From there, you can decide if you’d like to keep going with the products and I’ll help you order or you can tell me “no thanks - not for me”. Not local? No problem, sister! Message me your email, phone, and address and I’ll send you some samples on me! Want to see more? Head to www.mymonat.com/bridgettepence to get the low-down on Monat and what this company and its products have to offer! Questions? Head over to my Facebook group (also where I am offering giveaways, flash sales, specials, and…fun! ), Laughter + Lifestyle + Lenses and get your questions answered!